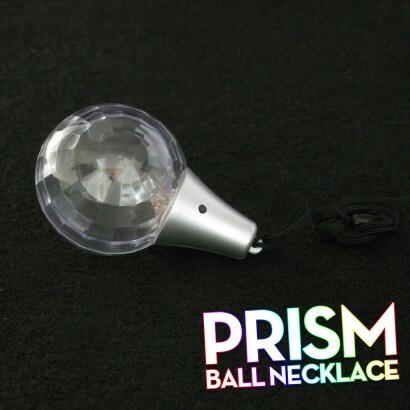 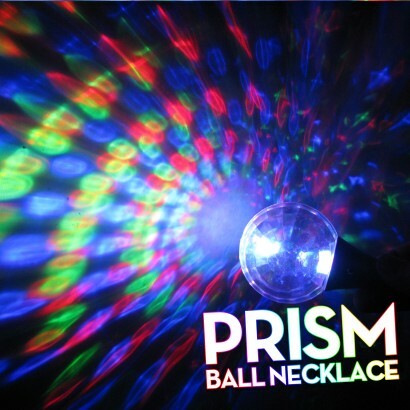 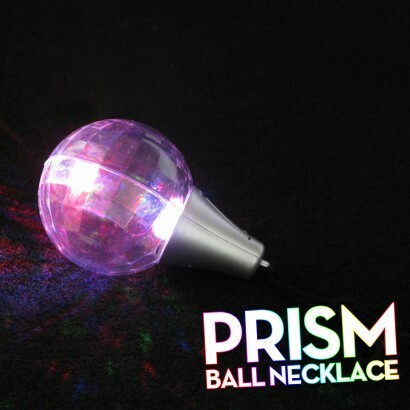 Flashing Prism Ball Necklace creates cool flashing light effects from multi coloured LED's inside the prism ball. 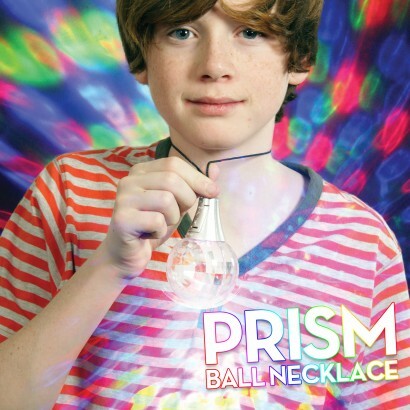 Wear around your neck for hands free light up fun and see colourful light shine through the faceted prism ball in three colourful effects! 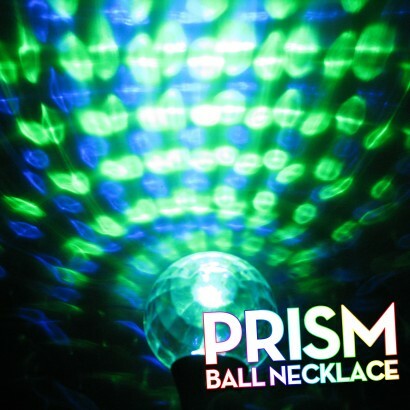 A little ball that makes a massive impact at your party or disco!